There are so many ways you can help as a volunteer - from just talking about the history of the CCC to volunteering at the museum or bringing new ideas on how to educate and fundraise. And we appreciate every minute of your time. We know that we cannot tell everyone about the Civilian Conservation Corps without you, extraordinary, dedicated volunteers. You are the most important part of our organization! 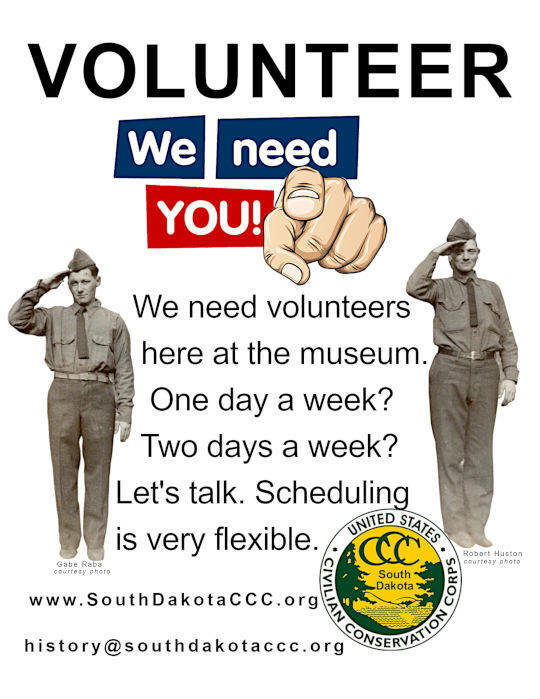 If you are interested in being a volunteer and/or advocate, please contact us at history "at" SouthDakotaCCC "dot" org or use the contact form at the bottom of this page. 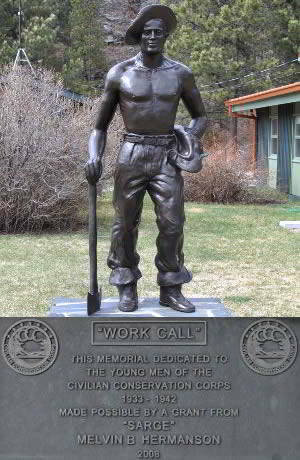 If you are a teacher looking for a class project, ask your students to list all of the great places in South Dakota that were built or improved by the Civilian Conservation Corps. Take your class to the site of a CCC camp. There are several in South Dakota and if you teach anywhere in the Black Hills area, chances are you are only a few miles from a camp site. The museum phone number is: 605-389-3410. If no-one is available to take your call, please leave a detailed message, a call back number and if possible an email address. The museum is located in the Hill City Visitor Information Center in Hill City South Dakota. Simply use this form to send your comments, questions or requests. Please include a valid email address.